On this page, you can find information on publications published in the context of AIDP Young Penalists' events. Want to participate in future publication projects? Join our next events! 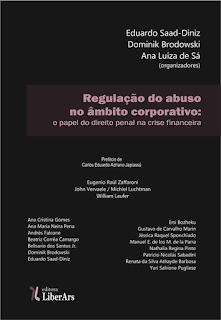 Corporate Criminal Liability is on the rise worldwide: More and more legal systems now include genuinely criminal sanctioning for legal entities. The various regulatory options available to national criminal justice systems, their implications and their constitutional, economic and psychological parameters are key questions addressed in this volume. Specific emphasis is put on procedural questions relating to corporate criminal liability, on alternative sanctions such as blacklisting of corporations, on common corporate crimes and on questions of transnational criminal justice. This volume builds upon contributions presented at the 3rd AIDP Symposium for Young Penalists in Munich, Germany, in 2013. Transitional Justice - 2nd AIDP Symposium for Young Penalists. Ahmed F. Khalifa (editor). Nouvelles Etudes Pénales 24, 2013. Merging theoretical approaches to transitional justice with the experiences gained in different jurisdictions was at the core of the 2nd AIDP Symposium for Young Penalists in La Rochelle, France, in 2011. The contributions to this sympsium are available in a special issue of the AIDP's Nouvelles Etudes Pénales. The Review Conference and the Future of the International Criminal Court - 1st AIDP Symposium for Young Penalists. The permanent International Criminal Court has finally become a reality. The looming of the Review Conference of the Rome Statute, as it is to take place in mid 2010, presents a welcome opportunity to reflect upon the shortcomings as they permeate the Rome Statute in particular and the future of International Criminal Court in general. The Review Conference calls upon state parties, the international criminal legal staff and academics alike to identify un- or underdeterminate positive norms and regulations and to produce doctrinally sound, politically feasible and practically manageable international criminal law in books and in action: be it within substantive international criminal law, be it within international criminal procedure, or be it within the interplay between national and international jurisdictions. This became reality in the highly successful First AIDPYoung Penalists’ Symposium: Dozens of senior and young penalists, from Brazil to Japan, with an international or a domestic background, pursuing either the academic career or practicing criminal law as prosecutors or defense counsel, convened in Tuebingen, Germany, from 1 to 4 April 2008 to discuss the upcoming Review Conference and the Future of the International Criminal Court’ as well as proposals for legislative or adjudicative reform. This volume contains most of the presentations as they were given during the symposium.